On the evening of November 7, 2018, a gunman armed with a legally purchased weapon and several “high capacity” magazines (illegal under California law) walked into a country western nightclub in Thousand Oaks, California and shot several security guards and patrons before killing himself. When the incident was over, twelve people lay dead, including a police officer who was killed by a shot fired by another officer. This tragedy highlights two key concepts about mass shooting events. First, armed self-defenders were unable to be present at the scene, and second that gun control laws fail to prevent gun violence. California law prohibits concealed carry in establishments that derive the majority of their revenues from the sale of alcoholic beverages, effectively making the Borderline Bar and Grill a “Gun Free Zone.” Unfortunately, the security guard outside was unarmed, making him the first defenseless target. Once the shooter entered the building full of unarmed people, he commenced shooting other guards and patrons, stopping to reload several times. Because the Borderline Bar and Grill was a gun free zone, it was a few minutes before armed responders – the police – could get to the scene. Hearing gunshots coming from the building, the officers heroically went inside and engaged the shooter. In the ensuing gunfight, Ventura County Sheriff’s Deputy Ron Helus was shot and fatally wounded. After more police arrived and worked to secure the building, the shooter was found dead in the kitchen of a self-inflicted gunshot wound, another coward who took his own life when confronted with armed resistance. When misguided laws prevent armed defenders from being in a location, that location becomes exponentially more dangerous. 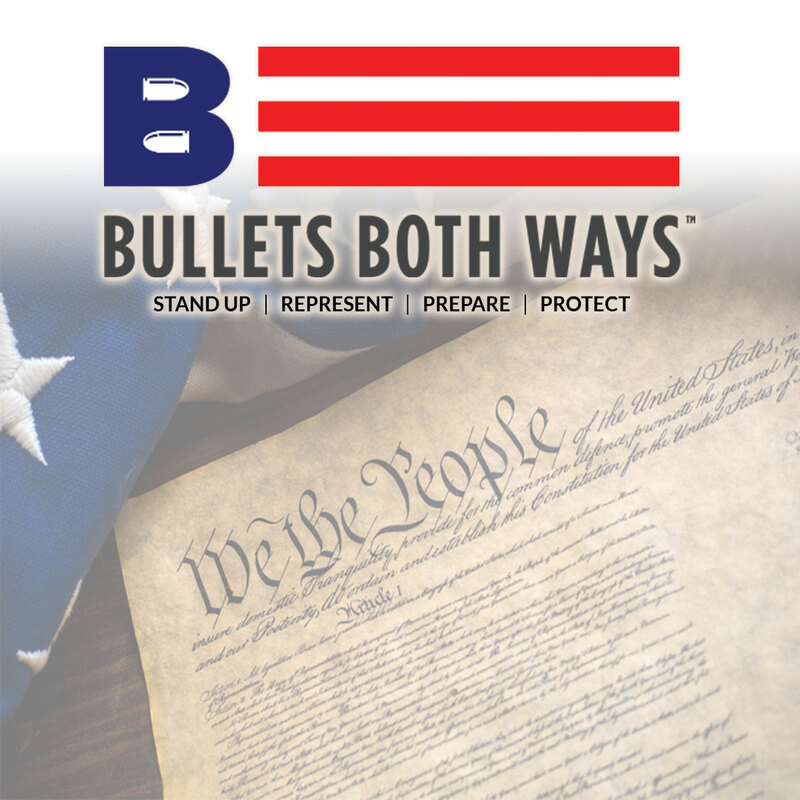 This is why Bullets Both Ways supports the armed defender – those who are willing and able to take responsibility for the defense of themselves and others. State permit required to purchase. Purchasers must have a Firearms Safety Certificate. Firearms are required to be registered. One could say that the Thousand Oaks shooting was an outlier, but sadly there have been many mass shootings in California in recent years. The fact is: if gun control laws worked, there would be no mass shootings in California or anywhere else. In a world where armed self-defense is necessary to preserve life against tyrants, criminals, jihadists and the mentally ill, it is immoral to prevent legally qualified citizens from exercising the right of armed self-defense. While Bullets Both Ways is not a political organization, politics do matter. We encourage our followers and customers to be active in the defense of our right to keep and bear arms, and to recognize that additional infringements on our rights in the form of California-style gun control laws will not only fail to prevent future tragedies, they could severely impair your ability to defend yourself and your loved ones.